“It’s Me, It’s Me” plays like a random and sponteneous comedy with plenty of hidden deeper elements in expressing about identity thief, identity crisis, self doubts, conseqences of our actions and the underlying concerns of human conformity and cloning. The film drags at times and struggles to hit a core, but Kazuya Kamenashi’s ability and verstility to play multiple versions of “yourself” remains the best thing out of this puzzing, fun and at times dark experience. Playing with the idea of multiple versions of yourself is nothing new to the cinematic medium. Spike Jonze and Charlie Kaufman have flirted the premises with “Being John Malkovich” and even Jet Li’s “The One” have venture into this possibility. Therefore “It’s Me, It’s Me” is on surface a comedy, but it is whenever the film attempts to drill deeper into dark territory and thematic moments that we become truely intrigue. Director and screenwriter Satoshi Miki created a world where multiple version of yourself is normal and while not directly providing a social commentary on the effects of human cloning or associated side effects. Miki seems to be interested in the human condition, how the same person can turn out differently due to how they are brought up in different levels of society. We are constantly bound by the consequences of our actions and every decision we make may well shape our future and personalities. Through the protagonist played by Kazuya Kamenashi, showed how easy it is to commit identity thief in today’s modern society and while multiple versions of yourself popping up may seem interesting as you are essentially communicating with yourself, people changes, wants different things and are ultimately self fish in thinking that they are the only one. Think about it this way, in society, we act differently to to different situation, circumstances and even in different stages of our lives. The multiple versions of Kamenashi simply represents our own living conscience and how many different type of us, we will eventually realise in our lifetime. However, the issue with this film is that none of these concerns are dealt with or answered, but rather the focus is more on how the clones communicate wih eachother that eventually led to the deletion process. The shots of the vast and dead end department store setting, where the tens of TV showing the same screenshot of Kamenashi in an early scene, perhaps alluding to what is to come. The same scene is given a repetition a few times in the movie. It almost goes without saying that Kamenashi is a real star of the film, to be able to play different charcters and personality in a few roles is lways difficult and somehow he managed to pull it off with winning comic timing. Yuki Uchida is given substantial screen time as the mysterious married woman who constantly seduce Kamenashi. Uchida is one beautiful actress, but despite playing off eachother well, the added meaning of her presence seems rather unexplained. Perhaps, this relationship is he only spark that Kamenashi can strive for in his dull existence within the vast electronic department store. To truly empathize with the situation, one must not take this movie too seriously, but at the same time enjoy for what it is worth. “Intruders” is essentially a Hollywood style gore, slasher, murder thriller that contains the plot of a “Jason X” movie, while being filmed with plenty of cinematic flair and style. What I liked about this film is that indie director Noh Young-seok is never pretentious and provides plenty of laughs and thrills along the way. In fact, Noh Young-seok even manages to add the political undertones by getting North Koreans involved in the process. However, Intruder despite being largely entertaining, it really doesn’t have something to say or intriguing message to behold. Sometimes, it doesn’t really need to be, as in terms of those 80s slasher flicks in the reins of “Freddy” and “Jason”, Intruder is like a perfect homage to those. Jun Suk-ho plays an aspiring screenwriter who goes to the remote countryside in order to complete his script in uttermost piece. Jun Suk-ho looks vulnerable and insecure type of characters, as a result, when bad things happen, it is relatively easy for the audience to identify with him. When he is scared, you can feel that he is genuinely scared. Oh Tae-Kyung plays the slightly haunting former jail inmate who tries extremely hard to befriend Jun Suk-ho, only to be on the opposite side of the fence. Jun Suk-ho is perfect as the guy you just never want to trust and probably the only character in the film, where the audience just cannot exactly read. This is a good thing, as it adds to the suspense factor to the film. The only screaming girl in the movie, is outright annoying and probably set out to achieve exactly that. “A Complicated Story” does contains an interesting premises about the issue of surrogate mothers, but unfortunately the film suffers from overall awful pacing issues. The first two acts goes extremely well in a slow, but equally engaging manner where character development and happenings are a core focus. However, all that potential and build up is essentially ruined by a rather rushed final act that seems to race to the finish line, the effect is like a Ferrari speeding along the congested traffic. In other words, it is essentially against the flow of things. I understand that producer Johnnie To, tried to distant himself from being involved in this project, whether to give youth a chance or whatever, I still believe that with more of his experience and influence, the film may well have ended a better product. The film also suffers from an uninteresting leading performance from Taiwanese actress Jacqueline Zhu (“Lust, Caution”) who is often blank faced when required to be searching for emotions. She lacks charisma, charm or the looks of an actress to carry the film. 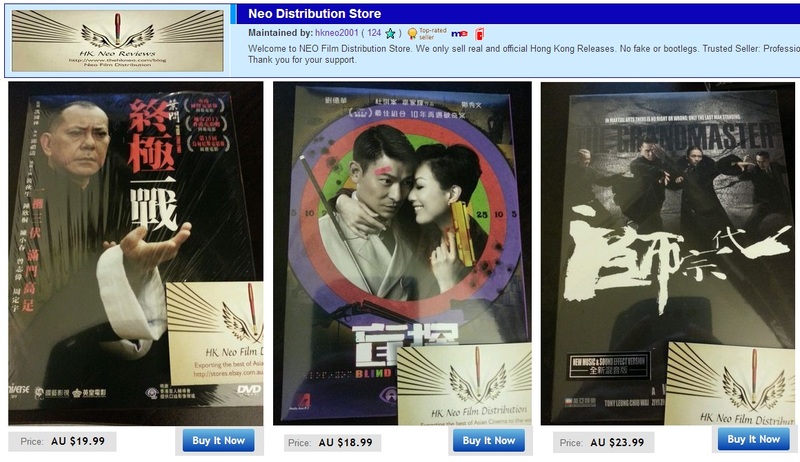 Especially considering how many Johnnie To’s cast members makes supporting appearances. In spite of this, the star of the show is really Stephanie Che. Che simply steals the show in her first leading role after a long career playing second fiddles. Jacky Cheung also makes a welcoming appear and add some much needed star power to the film. However, his involve seem rather novel and he is never in character. In fact, there are times, when the audience feel as though he is appearing as Jacky Cheung rather than the character he is meant to be playing. While Zi Yi (“Blind Detective”) is adequate, but at times his overacting is almost to the point of bothersome and annoyance. Others are given less than enough screen time namely the ever dependable Lo Hoi-pang as the doctor and the much missed John Sham as the lawyer’s boss. Deanie Ip is wonderful in her little role as inspiring beach bar owner who gives some words of wisdom along the way. Probably the most heavily promoted local production in Hong Kong this year, comes the highly anticipated yet immensely overhyped “Cold War”. The film is by no means a total failure, but is a perfect example of a how a great script failing miserably in the hands of first time directors (also screenwriters), Sunny Luk and Longman Leung. Everything in the film happened too quickly and the result is a lagging second half that drags to the end. Definitely a blockbuster movie event, but far from meeting its own grand expectations. This is apparently the film to revitalize the Hong Kong industry since 2002’s “Infernal Affairs”, but unfortunately it is not to be. I am great supporter for giving golden opportunities to rookie filmmakers a chance to direct and mange a Hong Kong movie backed by a major studio. However, in the case of “Cold War”, despite doing well in writing a good enough script, first time directing duo (Sunny Luk and Longman Leung) are just not up to the par. They may have shown glimpses of potential throughout the film, but those moments are far too indifferent, uneven and at times questionable. The pair should be congratulated by a great tense opening 40 odd minutes, where the film frantic pacing soar and soar to a crescendo so early on. Unfortunately the film never reaches the same heights or tone set by that moment. In fact, the moment the ICAC clan came into the show, the film began to fall rather flat to the point of dragging on, before a ridiculous twist that nailed the film to its own coffin. 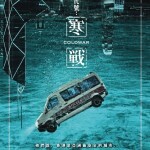 I am not saying that “Cold War” is an outright bad film as the leading duo of Aaron Kwok and Tony Leung Kar Fai provide a strong backbone to the story and a number of key players of the police force are suitably casted, but the ICAC clan seems far too amateurish, naive and terribly acted that almost singled handedly destroyed anything good about the film. Aaron Kwok puts on a good show and at times is almost Andy Lau-like. There is one notable scene where Kwok confronts the ICAC with a trademark Lau’s thumb up. Perhaps, it should be put that the Police Commissioner role was born for Lau, but somehow Kwok manages to impress with suitably intensity and carries an otherwise lackluster film. However, Kwok plays far too safe and in turn is unable to excel in the role. Alongside Tony Leung Kar Fai, the two experienced head of Police lifts the film beyond its own material and provide the audience with some truly cinematic moments, especially in their confrontation. 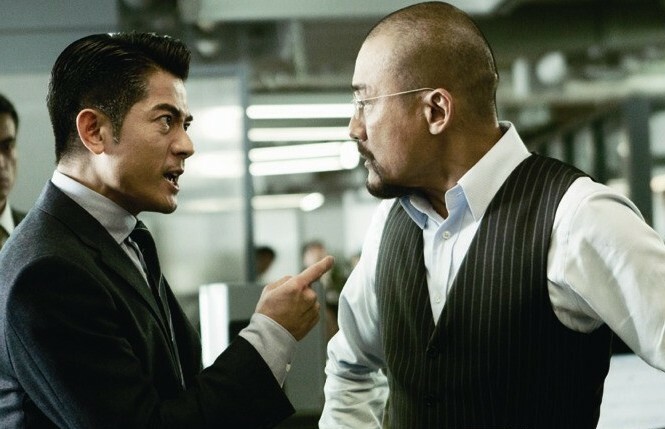 Leung is able to extract the more expressive character work, as he is a father caught in the middle of a battle with his son kidnappers, maintaining the rules and boundaries of the police force, dealing with ICAC issues and the ongoing struggling for power within the senior police ranks. Leung provides the audience with an interesting character to follow and despite Kwok’s best efforts, he undoubtedly overshadowed Kwok. Chin-Ka Lok does well in a short lived role, while Andy Lau appears in the film like a commercial break. Gordon Lam once again shines in crucial confrontation moments within the film, with his silent downplaying. 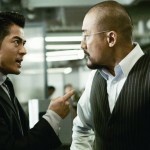 Aarif Lee who showed much promise in “Echoes of the Rainbow”, but is out of his depth in the role as an ICAC principal. Perhaps, the role required someone with more experience like some in the tune of Anthony Wong, but it was not to be. While former ICAC commissioner (Alex Tsui Ka-kit) appears nothing like a commissioner, despite being in the position in real-life. His acting is almost woeful and his presence is a detriment to the film. Eddie Peng (“Tai Chi Hero”) yet again show why he is better suited in a nice guy role than anything villainous, as his poor voice Cantonese dubbing affects his overall performance, making him extremely cartoony like.